Tour operator TUI recently announced they are adding Majorca to their summer programme from Ireland West Airport Knock this year. With a weekly flight every Friday from June 22 until August 24, holidaymakers throughout the West of Ireland now have the opportunity to discover the most well-known Balearic isle in addition to Costa Dorada direct from their local airport. 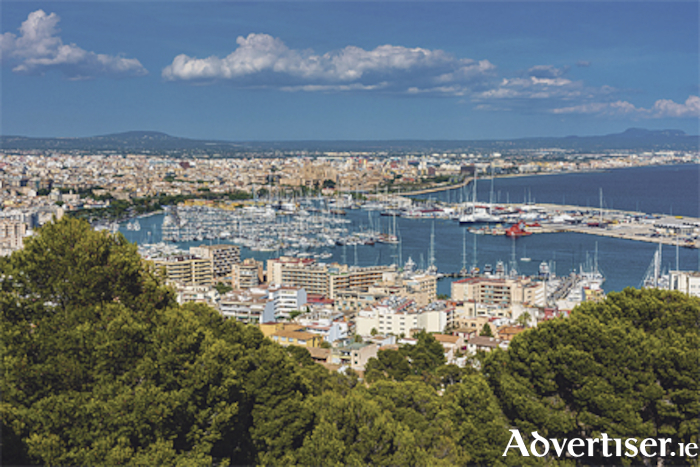 Majorca is home to the popular resorts of Santa Ponsa, Alcudia and Palma Nova, whilst also boasting the impressive capital of Palma. Speaking at the announcement, Belinda Vazquez, director of Ireland for TUI, said “We are delighted to add the ever popular destination of Majorca to our programme from Ireland West Airport and believe it will prove a very popular choice for local holidaymakers. Majorca has been always been a firm favourite and now it will be even easier for holidaymakers in the West of Ireland to get there with a direct flight on their doorstep. It is a superb destination for families, couples and singles alike and at TUI we can offer a huge range of resorts and hotel concepts to provide a holiday to suit everyone. For further information on holidays to Majorca including Alcudia, Santa Ponsa and Palma visit www.tuiholidays.ie call 1850 45 35 45 or contact your local TUI store or local travel agent.